Siltstone is a tan, fine-grained sedimentary rock. 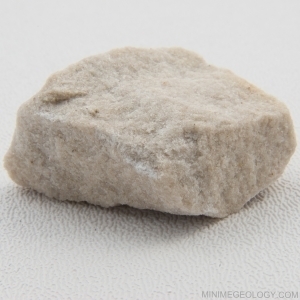 Siltstone forms offshore from silt-sized quartz and feldspar minerals. Silt particles are larger than clay particles but smaller than sand particles.